The book of Revelation is full of some wild visions and sometimes alarming imagery. It can be unsettling to believers who might come into the book not having a foundation in previous prophecies given throughout the Word. Namely, in the 6th chapter of the book of Revelation we read about a special scroll that is sealed shut with seven seals. Only the Lamb (Yeshua – our King Messiah) is worthy to open this scroll by breaking the seals. 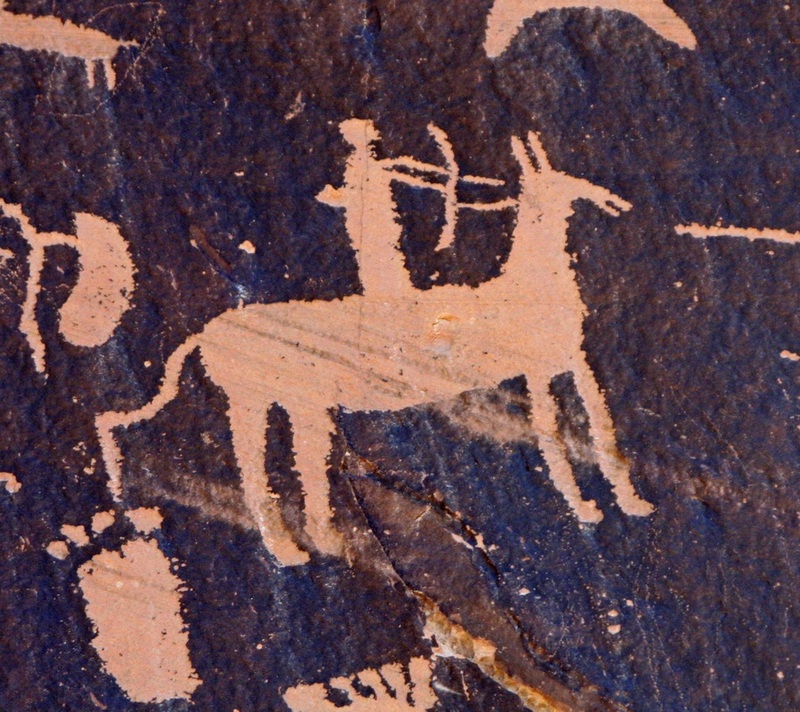 The breaking of the first four seals have a common theme: each broken seal releases a unique horse and rider. These beings have a distinct and powerful purpose in the earth. While each being manifests in specific ways in the earth and in history, this study seeks to show the spiritual reality of these horses and their riders. The descriptions in Revelation chapter 6 are as follows. A white horse, with a rider holding a bow, and wearing a crown. A red horse, with a rider holding a great sword and the authority to take peace from the earth. A black horse, with a rider carrying a pair of scales with which to weigh. 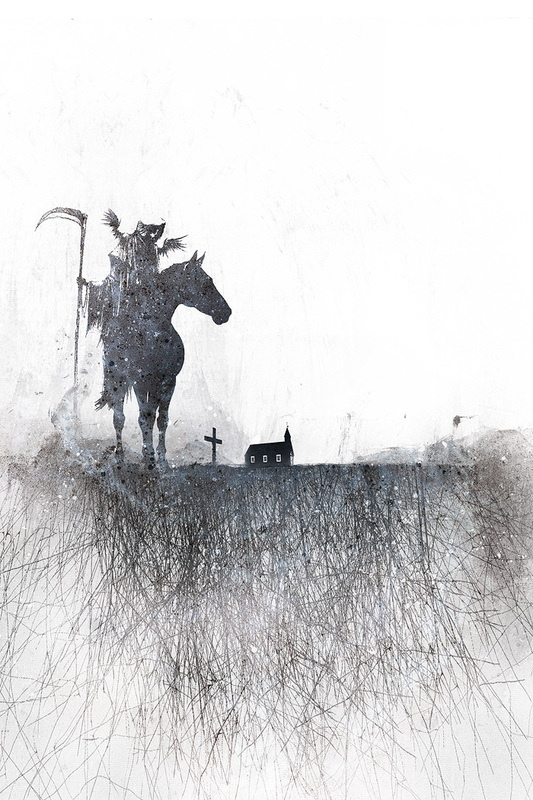 A pale green horse, and the rider is Death, and the grave follows after him. These four horses and riders are given the authority over a fourth of the earth, to kill by sword, hunger, death, and by the beasts of the earth. Many prophecy teachings speak about these four horsemen, and they have featured prominently in all things end-time. Opinions differ of their exact identity and purpose, and why such horror would be allowed to come forth upon the earth. However, did you know that these four horses are actually mentioned repeatedly in the Hebrew Scriptures, as well – commonly called the Old Testament? Not only that, but by reading what Scripture has to say about them before they are mentioned in the book of Revelation, we can see exactly what they really are at their core, and understand the wonderful and divine purpose for being released. While their presence upon the earth entails much horror and suffering, their purpose is yet one from which believers can draw much encouragement. The book of Zechariah, one of the ancient prophets, mentions these four horses two different times. Their first appearance is in chapter 1, where they are seen amidst shadows under trees. There the text tells us that they are the ones that have been sent by the Creator to go forth throughout the earth. The exact purpose is not given. In chapter 6:1-8, we see them very prominently in a vision the prophet has, and more detail is given. There, the angel specifically tells the prophet that these horses are the “four spirits of the heavens.” These spirits then proceed to go forth in various directions in the earth, and accomplish various goals in those lands. So the book of Zechariah gives us a hint that these four horses are four spirits of heaven whose job it is to go out into the various countries of the world and have an effect upon each one. Another prophet also speaks about these four special spirits, but does so in a way that is not so evident to the common reader, due the way most Bibles are translated. In Daniel chapter 7, the prophet has a special dream where he sees the four winds of heaven stirring up the Mediterranean Sea. These four winds stir up the sea, and in doing so, cause four special beasts to rise up from the waters. These beasts are later explained to be symbols for different nations that would be around when Yeshua returns to the earth to rule His Kingdom. They aren’t really animals, but symbols for nations. Here’s the cool part: these four “winds” are the same four “spirits” that Zechariah saw twice in his own visions. In Hebrew, the word for “spirit” is RUAKH, and it literally just means “wind” or even “breath.” The book of Zechariah was written in the Hebrew language, so the four spirits/horses he sees there are also “four winds.” The book of Daniel, however, is written partly in Hebrew, and partly in Aramaic – a language which is very, very similar to Hebrew. In fact, it is so similar, that the two languages share many words. This part of Daniel is written in Aramaic. In Aramaic, the word for “wind” is RUKHA, and also means “spirit,” just like in Hebrew RUAKH means both. So this tells us that the four “spirits” Zechariah saw that went out into different countries in the earth are the same beings as the “winds” that cause four different nations to rise to power in the earth in the book of Daniel! You can see the link very well here once you understand that the words of the original languages actually mean the same thing! These four horses/spirits/winds have a big job to do, and it is related exclusively to judgments of nations, as we have seen thus far. In fact, they are so important that other prophets mention them individually, by the very manner of judgment which the book of Revelation describes they would use. In the book of Ezekiel chapter 14, the prophet is prophesying about the northern Kingdom of Israel, which has fallen into severe idolatry, and speaks about how the Creator will judge them for their crimes. In verses 13-21, the prophet mentions the judgment of famine, evil beasts, sword, and pestilence, and then closes by calling them the “four evil judgments.” Be sure to notice that these judgments – the four horsemen / winds/spirits, come upon the northern Kingdom of Israel for idolatry. The prophet Jeremiah also speaks about these four judgments in chapter 15. Again, this special judgment of the four horses/spirits is specifically for the northern Kingdom of Israel and her idolatry. These judgments come to His chosen people for forsaking Him in lieu of idols. So as you can see, the four horses have very important functions – bringing the sword, famine, wild beasts, and pestilence, and yet, the real answer to their identity and purpose is actually found further back in the Word, all the way in the Torah / Law that the Creator gave to Israel so long ago! In the book of Leviticus chapter 26, specifically in verses 14-25, we see that if the nation of Israel does not obey the Creator’s laws, that He would judge them severely for their sins in four ways: pestilence (verse 16), famine (verses 19-20), wild beasts (verse 22), and the sword (verse 25). These judgments have already happened. The northern kingdom of Israel and the southern kingdom of Judah both experienced these judgments for their crimes against Him. This means that the first four seals have been opened for well over two thousand years! The prophetic plan of the Most High laid forth in Revelation is already instigated and moving along towards His grand goal for the world. The whole reason for obeying the specific laws of the Creator is because He has taken the time and effort to enter into a covenant with mankind. The covenants of the Creator imply that if we will do something, that He will do something in return. Just like a marriage covenant – both parties are expected to uphold their vows – so too are the spiritual covenants of the Creator with man. We obey because we are joined to Him in covenant! If we follow our own desires, we are letting idols into our lives, instead of following His desires, and worshiping Him only. Being in a covenant means living with the well-being of the other in mind, not just one’s self. But here’s the good part – the whole reason to keep in mind when reading the book of Revelation and the sometimes frightening imagery that it contains: the end-time beings we call the four horsemen of the apocalypse are proof that the Creator has not given up on His people; that He is a covenant-keeper and will not give up those for whom He has striven like a loving but responsible Husband for so long. Later on in Leviticus chapter 26, in verses 40-45, after detailed judgment of the four horses are presented, the Creator tells us that if we would only repent of our unfaithfulness even after being judged so harshly with His four judgments/horsemen, that He will remember the covenant in which we are both parties, and not loathe us or break that eternal covenant! Thus, when you read the book of Revelation and the amazing and strange events that take place in it, know that it is all part of the coming-together of a plan He initiated so long ago, from One who never gives up on His covenants! It might get scary, it might get hairy, but all of it points to the fact that He will not loathe His people or break His covenant even in the worst of times! All we need to do is to remain faithful to Him and live with pleasing Him in mind!